The release of Pro Tools 2018.7 has brought several new features which are mostly aimed at speeding up workflow in cases where an action had to be done over and over again. One such example is the new Duplicate and Extend Edit command. This command doesn't allow us to do anything which couldn't already be done but it facilitates a very common way of repeating clips down the timeline. In this free video tutorial brought to you with the support of Avid, Pro Tools Expert Team member Julian Rodgers demonstrates both this new command and the new feature which allows copy and paste to operate in Relative Grid in the same way as dragging and dropping already does. 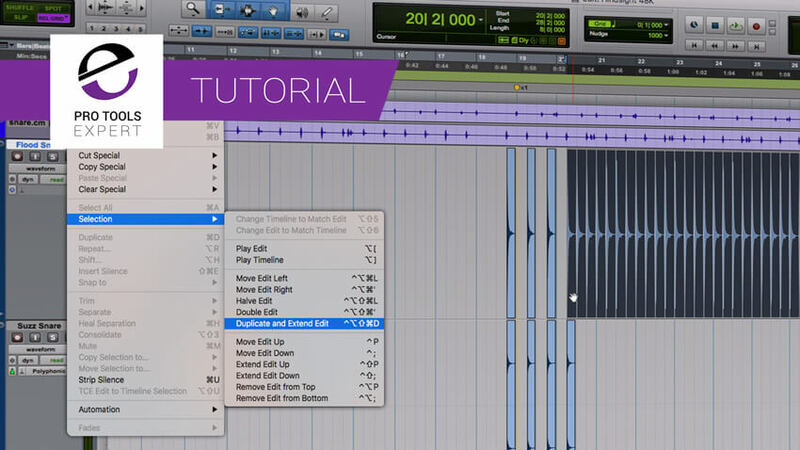 Audition Pro Tools Playlists On the Fly - Do You Know How To Use These Two Shortcuts? Have You Seen The New Low Latency Monitoring Options In Pro Tools 2018.7? Why Hasn't Everyone Noticed How Important It Is? Free Expert Tutorial.